In drum kits, sometimes smaller is better. Dixon SPARK is a compete drum having 6-Ply hardwood drum shells wrapped in a unique Dixon Cyclone finish, deliver great sound and stunning looks while a sturdy set of deluxe, double-braced hardware and sticks fully equips drummers for long term learning, performing or just letting loose. Driven with excellence, we are readily affianced in presenting Concert Drum Set to our customers. These are made under the knowledge of skillful personnel by using optimum grade input in conformity with the pre-set quality norms. In addition, quality auditors thoroughly review these on predetermined norms. A Drum Circle is the best ice – breaking activity for the two families. Our high energy drumming session will give you & your family members the perfect adrenaline rush for your Big Day. 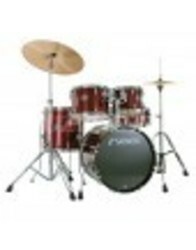 Leveraging the skills of our qualified team of professionals, we are engaged in providingRoto Gammon Drum Set. - As the guests walk into the conference room, they find drums on each of their seats. - They start banging on them, what follows is absolute chaos with a lot of unguided energy flowing. Accomplished, prolific and hugely versatile, Nirmal Antony is a drummer of prodigious talent. Nirmal’s overarching passion is a relentless pursuit of originality – to produce pure strains of sound that are true expressions of his inner spirit. Mapex is one of the leading manufacturers for professional acoustic drum kits in the world. 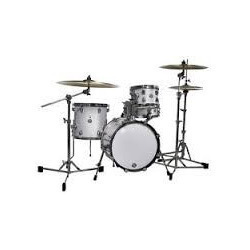 From your first beats to your first arena rock show, it all starts with a Mapex Tornado kit. It features basswood shells, Remo UX heads, double braced H/W, cymbals and drum throne. Yamaha Drums are known for their quality. With the introduction of Stage custom in 1995 YAMAHA once again sets the standards of value and sound. The beautiful high-gloss lacquer finish and low-mass lugs lets the shell vibrate for superb tone and sustain.